Being found on Google's front page is every blogger's dream. When Google features your blog on its front page, you get more exposure which equals more clients – Plus real bucks. Search engines' front page alone receives approximately 94% of search traffic. Now, I call that a free blog traffic generator. But, for you to make it to the front page of any search engine, sorry... but your content quality in itself won't cut it. What you need is your quality content plus well-targeted keywords plus good SEO techniques. Don't be scared. I didn't mean to pull a trigger, but that is the reality. Now, how do you make it to Google's front seat? What do you really mean by this round head? – You may say! This is what I mean: you need to find out the likely questions that your target audience frequently ask. There are two ways to do this. The first step is to ask yourself what services do you offer. Be as specific as possible. This should give you suggestions of what your audience might really expect from you. Then, you may need to head over to any social media platform or forums where you may likely meet your target audience. Quora is a good instance of such – This is called keyword research. The Google search engine fits in as a very simple keyword research tool. Whenever you enter a search query. Google gives a list of other related related suggestions in the order of their search volumes. Nevertheless, there is a caveat to using Google for keyword research. It features relatively small volume of suggestions. Again, don't expect Google to display the search volumes and the relative competition for each search phrase – That's beyond the scope of a search engine operation. Hence, most content writers prefer to use more sophisticated keyword research tools – Think of Google Adword planner,Uber suggest or Moz keyword explorer. With any of these tools, you can get near-accurate search volumes and competition level for short tail and long tail keywords. To use any of these tools, you only need to enter your targeted keywords in the input field for your choice tool. The result which features search volumes and the competition level for the specified keyword tells you what your blog audience wants. Hence, you can deduce what type of content to write. What's up with the tails anyway? 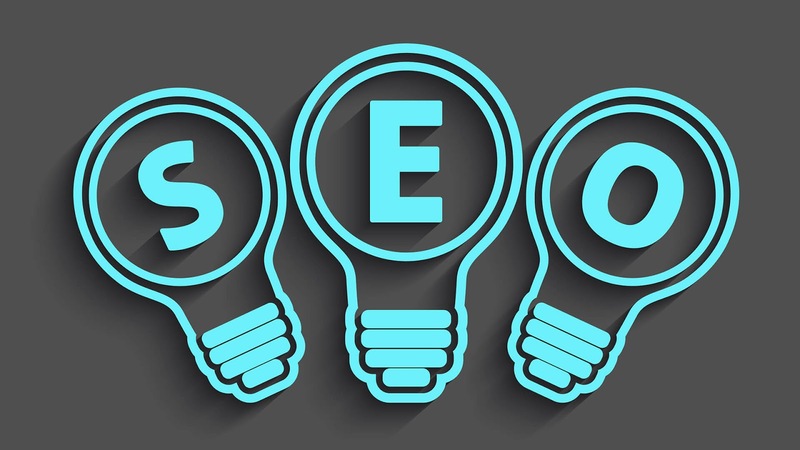 Short tail keywords are generic or non-specific queries from a search engine user e.g "SEO for blogs" while long tail keywords are more specific or narrow queries. Expectedly, long tail keywords have less search volume, yet they are less competitive e.g "How to do Seo for blogs"? It is recommended that the content of your blog post should target long tail keywords rather than the more competitive and generic ones. It's much easier to rank for such keywords. More so, they have higher conversion rate WPBeginner's visitors grew by 20% with this strategy. Now that you have chosen a topic for your blog post. The next step is to plan out the 'skeleton' of your blog post. At this stage – you need to think up how to write the introduction, the subheadings and your conclusion – In short! you want to present your write-up in a nice and well structured format. Why should you care? Well, nobody really likes a cluttered write-up. You can't afford to throw facts and data around like its some sort of a rat hole – Even rats now take some breaks to make their beds. Your introduction is the excerpt that gets displayed on search engine result page. Does this ring a bell? Yes! the introduction of a blog post is a key element that a search engine robot check to interpret its content. Experts suggest that introductions should reflect targetted keywords or any of its related variations – Latest semantic index. Mostly in a hurry to get answers to their queries and leave. Do not hesitate to click the back button from a site after reading the first few sentences. To this effect, avoid beating about the bush in your introduction. Instead, go straight to the point. Let your introduction be clear and concise in just a few lines. Now that you have crafted a nice, interesting, engaging and equally optimized introduction for your post. The next item on your list of action is to integrate your keywords in the context of your post – This is a way of telling search engine robots: "Hey boy send me nice traffics for these sets of keywords". Note avoid stuffing keywords in the context of your blog post – Nothing seems more insulting to your visitors' intelligence. Most blog visitors would gladly hit the back button should they catch you doing this – resulting in increased bounce rate. Bounce rate is not health for your blog – Remember! Write your contents in a friendly and natural tone. This makes it easy to connect with your visitors, convince them to stay longer and reduce your bounce rate. The search engine robot gets the context of your post by fetching and interpreting your post's HTML tags. The right or wrong usage of HTML tags can significantly affect how the search engine perceive your content. Hence, you need to ensure that your keywords or their latent semantic indices are present in the most basic HTML tags and in your hyperlink. I know it's a bit tempting to quickly hit the publish button and move on to the next post. But don't – nothing kills a blog faster than a cluster of posts that reek of unverified claims and statistics. Search robots deem such posts as spams. The Google's Panda algorithm update was specifically introduced to get rid of spammy blogs from Google's index list. Conducting sufficient research before publishing your post is not a matter of choice. Have facts and statistics to back up your claims, cite your references and include backlinks to the right sources. This practice signals to search engine crawlers that your post is valuable and create a nice first impression for your post. First impression lasts longer – My formal English tutor's favourite cliché. Sorry! but that worn phrase is ever true, even for Google robot. Citing references and linking back to the right sources is a nice way of getting quality backlinks for your blog post. The affected webmasters might end up seeing the links in their analytics, check out your blog and link back. More backlinks equals more credibility and high page ranking. Cross-linking your internal pages is equally important. It spreads link juice to all your blog contents. It also reduces your bounce rates. Having hit the publish button and gotten your post out there, you may want to ask: what next? Interestingly, many bloggers wave a happy bye to their contents at this stage: "Bye buddy! see you on the front page"
Not sorry to disappoint you. But it won't... Your new post has no links [ citations ] – hence, it's be a bit difficult to rank against competitors with more backlinks. So what do you do? You may consider sending a couple of E-mails to authorities [ bloggers or media personalities in your niche, companies etc ]. Suggest if they could check out your new post and possibly share with their audience if they find it helpful. Important – Your message should be concise, straight to the point and free of mistakes [ grammatical or typographical ] – your message tells a lot about what to expect on your blog – Your first impression that last long. It is possible for a couple of your E-mails to go unreplied. It's bit disappointing, right? I wholly agree! – after all, we are all humans. But then, not all your messages would end up that way too. More so, your blog is your business – And business is about taking chances anyway! Getting a blog on the front page of Google and other search engines seems a bit more taxing than a few years ago, the internet now plays host to far greater number of web pages. Nonetheless, it is still very possible provided the necessary optimizations are well followed – Avoid duplicate contents, don't be too eager to push out a content without a proper keyword research, share your contents with authority figures, build more links. Certainly not the least – you may need to revisit and update your contents once in a while – Search engines love updates. What are your strategies for targeting the front page ? Are they gaining tractions yet ? Kindly share in your comments.